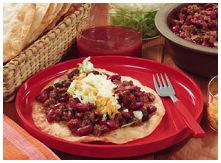 Enjoy delectable tastes from Mexico when you come to El Tapatio #2! From individually served tacos to fajitas and enchiladas, we offer a wide range of Mexican food to please your palate. Our birria is unique and one of our best sellers, so visit us in Gaithersburg, Maryland, to bite into authentic Mexican food. Choose mouthwatering Mexican food selections at our restaurant in Gaithersburg, Maryland.